Some zombies wake up in a black body bag, while others find themselves in one after they have been permanently destroyed. Either way, a Zombie Body Bag gets put through a lot of use whenever humanity finds itself in the middle of a massive zombie outbreak. 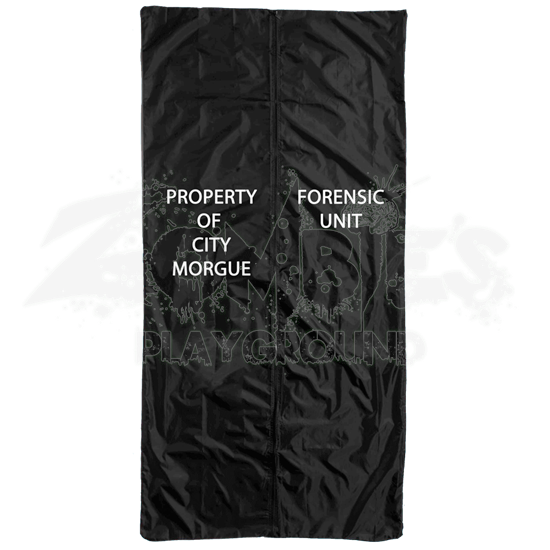 This body bag mimics the appearance of a classic body bag that is used to transport bodies over any distance. It is a fully functioning bag that measures 3 feet wide and 6 feet long, and it is zippered down its full length. On one side, the body bag reads, PROPERTY OF CITY MORGUE, while on the other side the bag reads, FORENSIC UNIT. Both labels are written in clear, bold white lettering to ensure that there are no confused parties when questioning who this body bag belongs to. If you are looking to transport a zombie, stop considering it, because no bag will contain a zombie for long. 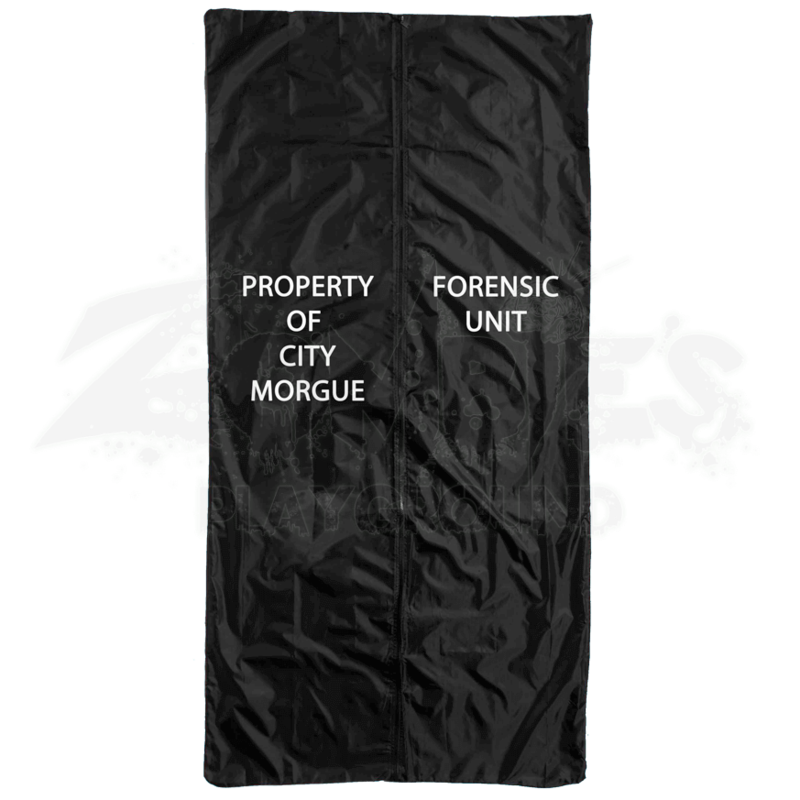 But if you are looking to transport a zombies body, then the Zombie Body Bag is definitely just the right tool for the job. On a side note, it is also a great way to inspire horror, especially when you can locate a zombie that is willing to be zipped up inside so that it can sit up later and give others a thorough scare.